Direct Secure Messaging (DSM) is a secure, HIPAA-compliant email service in which all the other users of DSM have agreed to the same level of authentication, trust and interoperability. 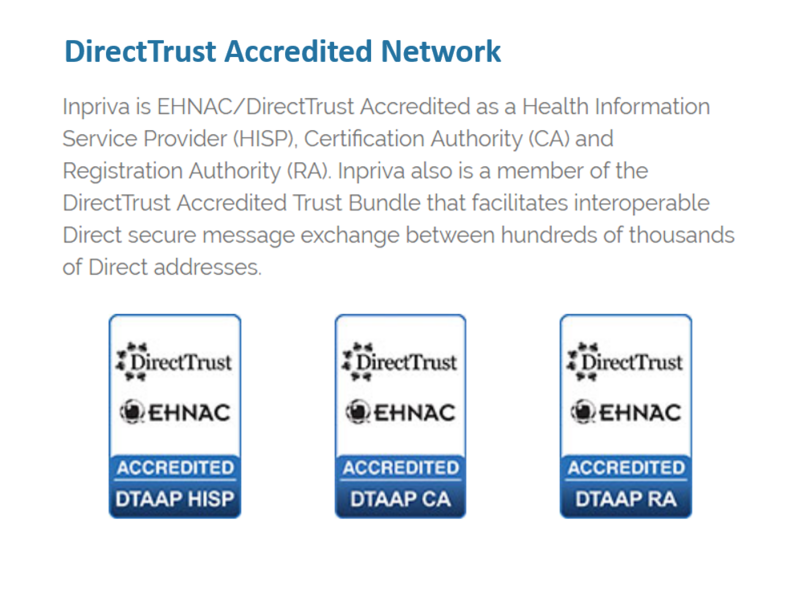 The DirectTrust Accredited community is committed to the highest level of security, privacy and interoperability. DSM takes care of all the trust management, encryption and decryption on the backend so all you have to do is compose an email and hit “send”. When sending to a non-Direct address, you will get a notification asking if you are sure you want to trust this recipient–if you do, just click and send. Your recipient is issued a temporary Direct address that can exchange with your Direct address based on your decision to trust. Their temporary login and password is sent to your recipient so they don’t have to register for anything, nor do they have to create or remember a password. 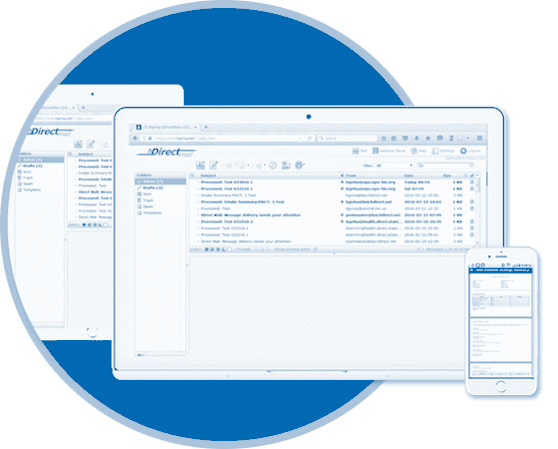 You don’t need an EHR to exchange Direct secure messages with an EHR if you use healtheConnect DSM. The DSM webmail client has a unique CCDA viewer built in so that you can receive and read messages from an EHR with ease. What are the Direct Secure Messaging terms of service? You can request a copy of the healtheConnect Direct Secure Messaging Participant Agreement. It contains pricing information, together with other terms and conditions for the service. You’ll be asked to sign and agree to these terms at the end of the Direct registration process. What are the steps involved in the Direct registration process? You will select the “subdomain” for your Direct addresses. Each Direct address will have a format like: username@yoursubdomain.directak.net. You will be guided to fill out online forms with identity information about the organization and yourself. You will directed to print the online forms. These forms include acknowledgement and acceptance of the healtheConnect Direct Secure Messaging Participant agreement and must be signed in front of a Notary or healtheConnect/Inpriva Trusted Agent. Once the forms have been submitted, they will been reviewed and verified. Your Direct account and its Direct addresses will then be provisioned. Normally, you will receive a notification email that the Direct Addresses are ready to use within 24-48 business hours. 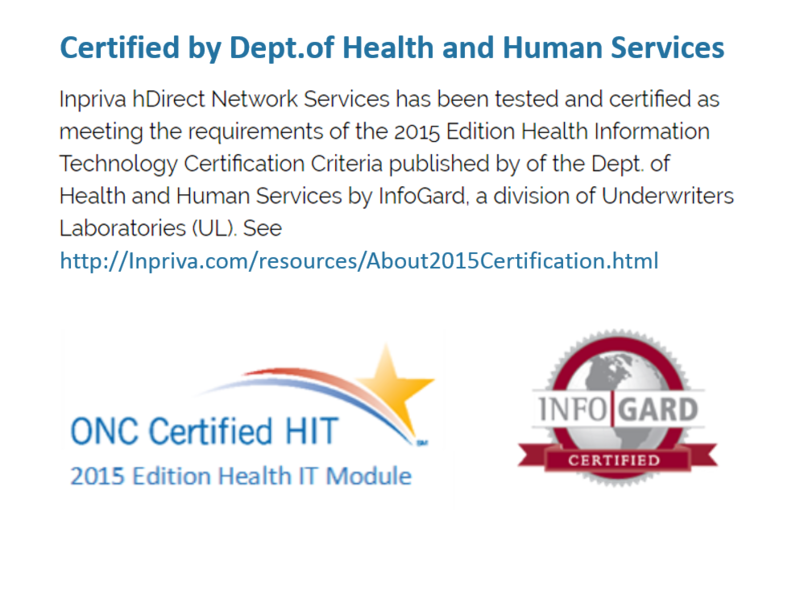 Copyright © 2003-2018 Inpriva, Inc.